You are currently browsing the tag archive for the ‘“Facebook fan page”’ tag. Talk about serving your audience on Facebook. Couple that with capitalizing on customer interests and an upcoming holiday and it’s hard to deny that T.G.I. 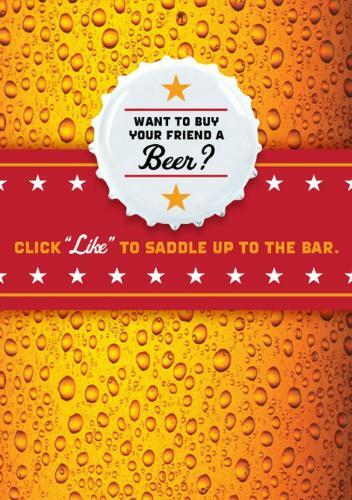 Friday’s® has a winner on its hands with the new Buy a Beer App. As someone who is constantly encouraging clients to push the envelope with Facebook and brainstorming new ideas to get them motivated, I enjoy learning about new endeavors and following their success. It keeps me on my toes, expands my thinking and keeps the ideas flowing. Any Facebook user 21 years and older can buy their Facebook friends up to five beers simply by “liking” the Friday’s fan page and placing an order through the custom tab. Recipients receive an electronic gift card to redeem in restaurant. The purchase price is set at $5, regardless of the recipient’s regional location, and is redeemable for any beer of choice, non-alcoholic beverage or food item at any local T.G.I. Friday’s. You can absolutely argue that this isn’t rocket science. But who says it has to be? I’m sure that T.G.I. Friday’s will generate a lot of buzz and grow its fan base with this one, which I’m sure is one of their goals. Right now, the T.G.I. Friday’s Facebook fan page has 580,370 likes. I plan to check back in a few weeks to see how they’ve fared. I’m going to go all out and call it a tsunami. We are finally going to see the difference between true community managers who understand their craft and those who simply play one on the internet. Do you know how tempting it is going to be for admins to post all over other fan pages and go directly to individual profile pages and start pushing their messaging? Get my drift? And that’s just scratching the surface. It’s one thing to remove unwanted messages from your inbox, but constantly removing from your wall? The average Joe, non-marketing Facebook user isn’t ready for this at all. I think it will get ugly fast. For those who have never learned proper etiquette for marketing through online communities, there is a real chance that they will crash and burn. One horror story I always like to share at speaking events is about a guy who joined the online community I managed and uploaded 750 pictures of wrist watches. It was unbelievable. As you can probably imagine, he was marked as abuse and the matter was brought to my attention fast. It wasn’t part of the culture. If he’d bothered to study how the community worked, spent some time observing other members, and avoided the temptation to pounce — he would have found a better way to get their attention. But I digress. Because this is a new opportunity for Facebook page admins, whose experience and credentials run the gamut,there are no agreed-upon or established rules.I don’t doubt that this change will enable brands, businesses and organizations to build stronger relationships with their fans, as mentioned on Socialbakers, but I do anticipate a wild, wild, west mentality unless Facebook has some plans in place to keep it at bay. I suppose that removing posts and hiding them could be sufficient. But that’s only if the tsunami heads in a different direction. On this one, we’ll just have to wait and see. Are more relevant than ever. Now that admins of Facebook fan pages can comment on Facebook profiles and other fan pages as the representatives of those pages, not themselves, there is going to be a huge wave of unwanted content floating around. I’m going to go all out and call it a tsunami. One horror story I always like to share at speaking events is about a guy who joined the online community I managed and uploaded 750 pictures of wrist watches. It was unbelievable. As you can probably imagine, he was marked as abuse and the matter was brought to my attention fast. It wasn’t part of the culture. If he’d bothered to study how the community worked, spent some time observing other members, and avoided the temptation to pounce — he would have found a better way to get their attention. Because this is a new opportunity for Facebook page admins, whose experience and credentials run the gamut,there are no established rules. I anticipate a wild, wild, west mentality unless Facebook has some plans in place. I suppose that removing posts and hiding them could be sufficient. But that’s only if the tsunami heads in a different direction. Have you heard about Facebook’s newest blow to Fan page administrators? It basically punishes those with fewer than 10,000 fans, keeping them from sending users to customized tab pages which they may have been using for a promotion of some sort or a specific call-to-action, making the Wall or Info tabs the only options. Okay, punish may be a strong word, because they can BUY ads that send people directly to these custom pages, but it still seems like the little guy is getting it good with this latest move. I absolutely understand that this is Facebook’s platform and they can do with it what they very well please. But changing the game midway never seems fair, and they’ve been doing it a lot lately. So, unless you have 10,000 fans you cannot send them to your own customized landing tab as your default page. So much for using creative methods for growing your fan base without paying for it through ads. Simply put, I think this is quite lame. Not only is it lame, it’s a kick in the teeth to those who are working hard not only for themselves and their own brands but for Facebook as well. They’re advertising these pages all over the place, sending people to Facebook. We apologize for not messaging this earlier. Facebook recently made a change requiring that Pages be authenticated before enabling the ability to set a landing tab beyond Wall or Info. To be eligible for authentication, a Page must have greater than 10k fans or the Page admin must work with their ads account manager. If you are already working with an account representative, please contact that representative to begin the authentication process. If you do not work with an account representative, you can use this contact form to inquire about working with an account representative. Also, for advertisers who don’t have a representative or 10k fans, and want to run ads and land users on a specific tab, you can still do so with standard Facebook ads by making their Destination URL as the URL incl. your tab. Unfortunately, this currently will not work with “Fan” ads. I think this will make it much harder to attract new fans. But it also says a lot about building your community in a space other than your own. I know it can be expensive and with everyone throwing around the stat about Facebook being the fourth largest country in the world, were it indeed a country, it’s hard not to gravitate that way. However, putting all of your eggs in the Facebook Fan Page basket may not be the best thing to do, unless of course you can round-up 10,000 fans. In one of the first large-scale studies of Facebook pages ever conducted, Toronto-based Sysomos analyzed and investigated usage patterns in nearly 600,000. The results include information on various aspects including popularity, amount of content posted, number of fans and categories. 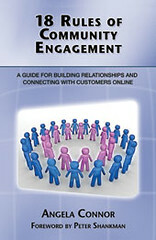 This is a study of interest if you manage Facebook Fan pages or plan to create one. On average, a Facebook Page has 4,596 fans. Four percent of pages have more than 10,000 fans, 0.76% of pages have more than 100,000 fans, and 0.05% of pages (or 297 in total) have more than a million fans. Pages with more than one million fans have nearly 60 times as much fan-generated content (photos, videos) as the average Facebook page. On an average Facebook Page, the administrators create one wall post every 15.7 days. Among pages with more than one million fans, one wall post is created for every 16.1 days. This suggests that wall post frequency does not correlate with a page’s popularity. Overall, the most popular “category” for Facebook pages is “non-profits”, while “celebrities”, “music”, and “products” are the most popular categories among pages with more than one million fans. There is much more to this study and you can find it all here. The point I’d like to make here is that major engagement on a Facebook fan page like any other community takes a lot of work and often times the administrator (community manager) is charged with creating the bulk of the content. Facebook may be biggest, baddest, go-to-social network on the planet with it’s 350 million members, but don’t let that number fool you. They’re not knocking down doors to fan your page. It still takes a lot of work to find success.